The Rapid City-based band Family Affair formed in 1985, featuring Bob Rasch and his children Mary, Bobby, and Christy. In 1991 Don Strahan approached Mary about starting a country band, and the first version of Dust N’ Roxx emerged. 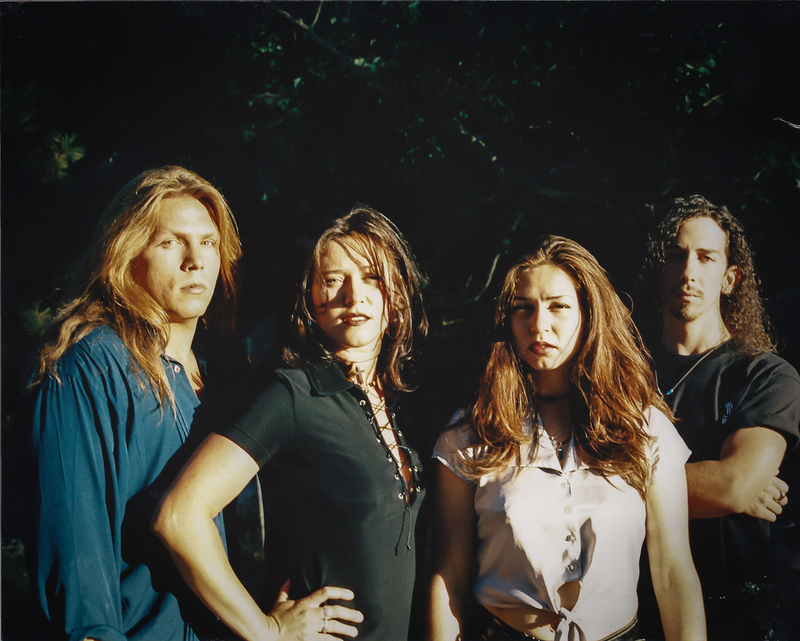 In 1994, the final version of the 10-year-running Dust N’ Roxx band was formed, with Mary McLaughlin, bass guitar and lead vocals; brother Bobby Rasch, lead guitar, drums, and lead vocals; sister Margie Gruba, keyboard and lead vocals; and Mike Knutson, drums and vocals. The band, which performed a variety of top 40, pop, rock, oldies, and edgy hard rock, played mostly in South Dakota, venturing into Wyoming and Minnesota. In 1995, they joined the R.J. Reynolds tour with Camel Roadhouse for a year, hitting internationally popular motorcycle rallies all over the nation. After years of performing to sold out, standing-room-only shows, Dust N’ Roxx hit the brakes on touring in 2004. They have reunited to play at the Sturgis Motorcycle Rally several times. The members get together as often as possible, trying to keep the music going. Mary ended the band in 2004 to start her pediatric nursing career in Los Angeles. Over the next few years, Bobby, Margie and Mike started an unplugged acoustic band call Rooted Soul, playing all the popular clubs and festivals. Mary also returned to Rapid City several times to join with Dust N’ Roxx to play the Sturgis Motorcycle Rally’s and a band reunion in 2014. Mary now lives in Rapid City. Bobby lives in Elizabethtown, KY, and is a regional manager for Red River Waste Management. He continues to book shows as his One Man Band Funky Jam in Kentucky and Nashville. Margie is a hair stylist in Rapid City. Mike Knutson, a financial processor at Wells Fargo, lives in Denver. They all continue to stay as close as they can and get together as much as possible, to keep the music going. A Dust N’ Roxx 20-year reunion is coming soon.